I’ve been fortunate enough to have access to the entire range of native Sony e mount lenses (thanks Sony Japan), and have selected what I believe are the best Sony lenses for all-round use. One of the advantages of Sony mirrorless cameras is the ability to use almost any third party lens (via a separate mount), allowing photographers to take advantage of Sony’s class-leading camera technology with some of the world’s best glass. 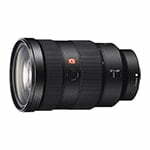 This roundup has been updated to include both native Sony e mount lenses for full frame (‘Sony FE lenses’), e mount lenses for APS-C (‘E lenses’), and the latest range of Sigma Art lenses for Sony. 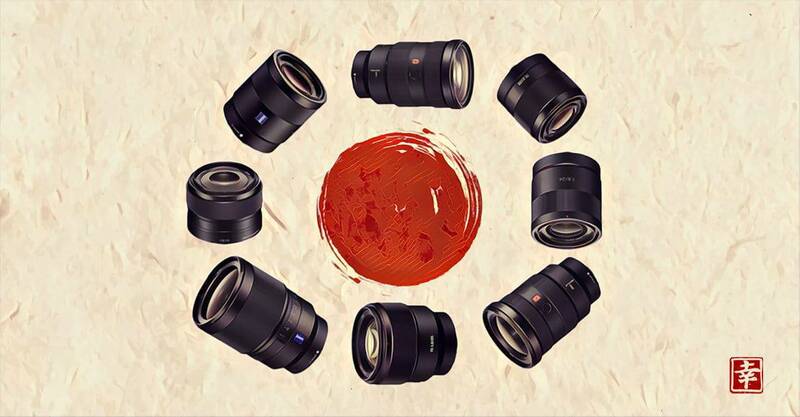 With several lens manufacturers catering to the Sony E mount, as well as Sony’s own amazing lens lineup, you can’t help feeling a bit overwhelmed by choice! Many photographers come to Sony from Nikon or Canon, so their first question is whether they can still use their existing non-native lenses on their new Sony body. Using Canon lenses on a Sony body is definitely possible via adapters like these, and it’s fun to experiment with other 3rd party lenses too, but I always recommend using a native lens where possible. With the ever-expanding range of Sigma Art lenses for e-mount in addition to Sony’s own offerings, the allure of using non-native glass on your Sony camera is dwindling. Based on the past few months I’ve had testing a selection of the best Sony e mount lenses, these are the ones that I’ve chosen as a solid base for any Sony full frame or cropped sensor e-mount camera owner. Remember that FE lenses can be used on all Sony mirrorless cameras (at a 1.5* focal length multiplication). If you’re looking for an affordable, fun and tiny prime lens for your Sony APS-C sensor (E mount) camera, the Sony 20mm f/2.8 is my pick. Small and light as a lens cap, you can blur the background on the cheap, and the image quality is surprisingly good too. If you want to step up the image quality considerably on your a6xxx series camera, the Sigma 30mm f/1.4 is a good bet – that fast maximum aperture will deliver great bokeh, and get you out of trouble in low-light too. As for FE mount (full frame) Sony cameras, my favourite prime is the Sony 35mm f/1.4 which I reviewed below. However, I decided to include the Sony 50mm f/1.4 in the table above, since 50mm seems to be a more popular focal length for many photographers. Both are outstanding lenses. For zooms, the f/2.8 G Master lenses are the cream of the crop, whether you own FE or E mount. If you’ve got the bucks, the Sony 16-35mm f/2.8, Sony 24-70mm f/2.8 and Sony 70-200mm f/2.8 a.k.a. the ‘holy trinity’, are unbeatable in quality. However, for half the price, I’d recommend you check out the f/4 variants too. Unless you’re shooting in low-light all the time, f/4 plus image stabilization and Sony’s excellent high ISO capabilities may be all you need. 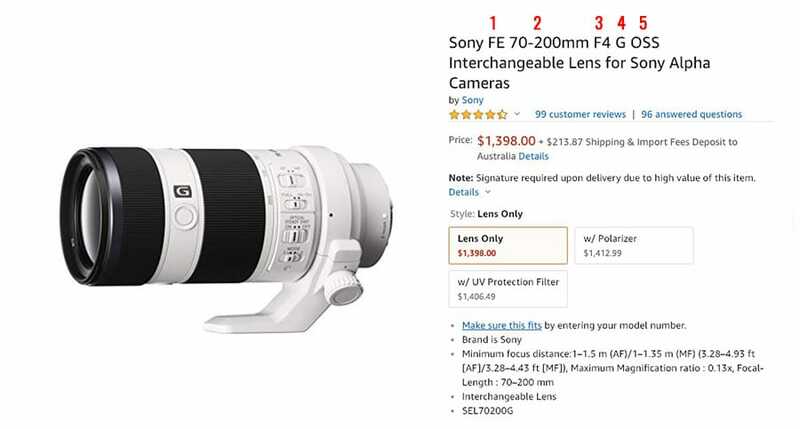 The Sony 70-200mm f/4 for instance is great value for money, and perfect for both Sony crop sensor or full frame cameras (it becomes a 105-300mm equivalent on APS-C). One other lens recommendation is the Sony 85mm f/1.8, which is a lightweight, affordable prime lens that’s perfect for portraits, delivering sharp, contrasty images with beautiful out-of-focus areas. On a Sony e mount camera like the a6000, it’ll become a 142mm lens, also great for portrait photography. Before we dive head first into the Sony lens reviews, it’s important to understand what all the letters in the lens name mean. It’s important to understand the difference between Sony FE and Sony E mount lenses (we’ve ignored Sony A mount lenses in this review, which are for Sony’s non-mirrorless range of cameras). 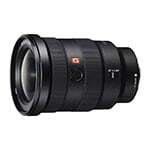 FE refers to a lens designed to cover a Sony full frame (35mm) sensor. Since APS-C sensors are smaller, the FE lenses can also be used on the Sony APS-C sensor range (also known as NEX), albeit at a 1.5x focal length and maximum aperture multiplication. Lenses labeled ‘E’ cannot be used on FE-mount cameras (a7 and a9 series). Will Sony FE lenses work on a6000, a6300, a6400 & a6500 bodies? Yes, at a 1.5x focal length and maximum aperture multiplication. All FE lenses are compatible with the Sony a6000 series and all other Sony e-mount crop sensor cameras. This means you can own a Sony a7 or a9 series camera and share the lenses with your Sony a6500 or whatever other Sony APS-C sensor camera. Is Sony NEX an E Mount? Yes it is. NEX stands for “New E-Mount eXperience”, with the branding no longer used on newer Sony cameras. Does Sony a7 & a9 use E Mount lenses? 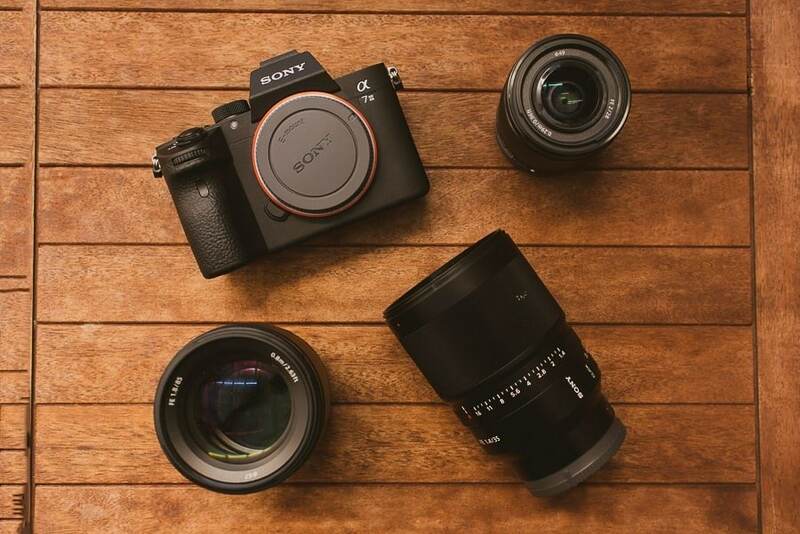 The Sony a7 and Sony a9 series are full frame mirrorless cameras, so must use the FE range of lenses which have been designed to cover the entire 35mm sensor. What's the difference between Sony E Mount and A Mount? Sony A Mount lenses are designed for Sony Unique Translucent Mirror type camera bodies (the Sony α system). 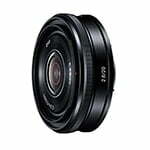 Sony E Mount lenses are designed for Sony mirrorless camera bodies. Do all Sony Alpha lenses fit on all Sony cameras? No. The E-mount is used on the Sony mirrorless camera system (Alpha 7, 6000, 500o and NEX series cameras). The A-mount is used on Sony Unique Translucent Mirror (essentially DSLR) cameras. FE lenses can be used on E mount cameras, but E lenses cannot be used on FE mount cameras. The cameras used for testing were the full frame Sony a7R III (reviewed here), the Sony a7 III (reviewed here), and the crop sensor Sony a6000 (reviewed here). Be sure to check out this guide to the best lenses for the Sony a6000 for some more Sony e mount lens recommendations for the crop sensor format, and my guide to the best Sony accessories for what I’m currently using with my Sony cameras. Also, this guide to the best Sony lenses for astrophotography may be useful to those of you wanting to capture the night sky. If you’re looking for the sharpest lens at a useful, flattering focal length, it’s hard to beat the Sony 55mm f/1.8. 55mm may sound unusual, but the difference between a 50mm and a 55mm field of view is minor and something you’ll quickly get used to. When mounted on a Sony APS-C (crop sensor) body like the Sony a6000, the field of view is converted to 85mm, a classic focal length for portrait photographers, who strive for un-distorted, flattering facial features, beautiful out of focus areas (subject separation) and a mid-range zoom which still doesn’t make the viewer feel too detached from the image. Sony does make 50mm 1/.8 lenses for both E and FE mount cameras, but this 55mm is faster to auto-focus and sharper, making it definitely worth the additional expense if you plan to use it a lot. 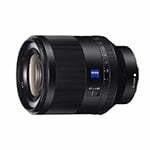 The T* in its full name (Sony FE 55mm f/1.8 ZA Zeiss Sonnar T*) refers to Zeiss’ anti-reflective coating, which improves detail, contrast and clarity, particularly in strong light. As with all Zeiss lenses, build quality on the Sony 55mm f/1.8 is excellent, with a metal barrel and a solid, high quality feel. Its light weight and diminished size make it a perfect walk-around lens when mounted to a Sony mirrorless camera, making this lens an extremely popular choice with street photographers. Thanks to a high speed internal focusing mechanism, the Sony 55mm f/1.8 delivers fast, silent and precise auto-focus. When tested on my Sony a7R III and a Sony a6000, I found auto focus speeds to be just as snappy as the fastest DSLR lenses I own, and much quicker than the Sony 50mm offerings. 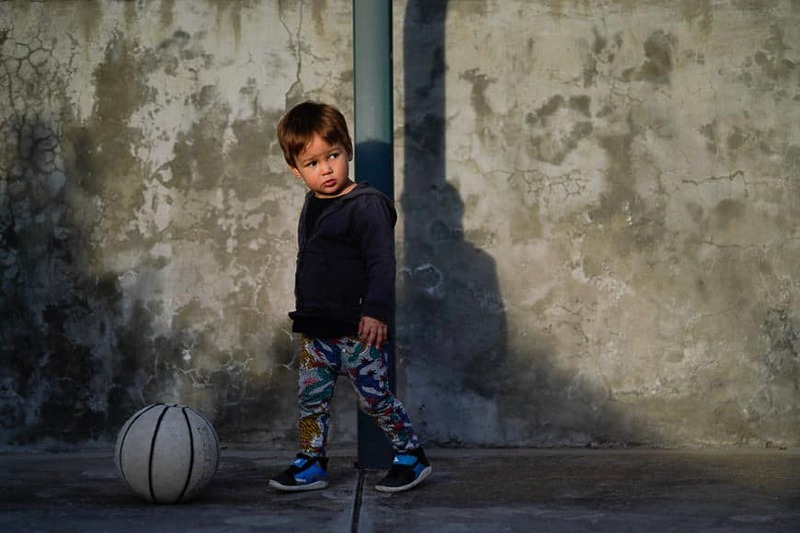 As for image quality, the Sony 55mm f/1.8 delivers razor-sharp images whether shot wide open at f/1.8 or stopped down to smaller apertures – you can expect edge to edge sharpness across the board, and incredible detail retention. Zooming in 100% on images shot with the Sony 55mm f/1.8 attached to a 42MP Sony a7R III is mind-blowing – individual eye lashes look like wires on head shots which fill the screen with the 55mm. This lens is also amazing for architecture photography for this reason, although at 55mm you’ll obviously need to be able to stand back far enough to fit the subject of your photo in completely. 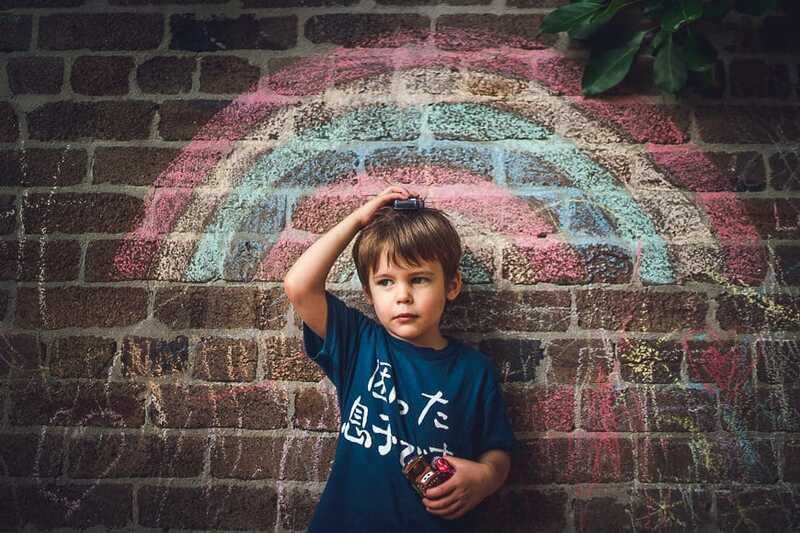 Colours are precise and vibrant, so JPEG shooters who don’t want to spend any time behind a computer can be confident of nailing the shot straight-out-of-camera. Colour rendition is obviously also dependent on the camera used, but at least with the Sony 55mm f/1.8 , you’ll know it’s not the lens letting you down! All in all, the Sony 55mm f/1.8 is a gem of a lens to have in your camera bag… or indeed your jacket pocket, due to its diminished size/weight. I’m a firm believer that small mirrorless bodies should be matched with small, lightweight lenses, and this is quite simply one of the best. Whether you’re a wide angle lens lover or prefer to zoom in to your subject, the Sony 55mm f/1.8 offers a versatile focal length that’s perfect for shooting portraits, and delivers class-leading sharpness and first-rate Zeiss quality. Highly recommended! Still on the topic of small, lightweight lenses that pair perfectly with Sony mirrorless cameras, the Sony 35mm f/1.8 deserves pride of place in this list. In fact, I’d go as far as to say it’s my favourite lens for a crop sensor Sony body such as the a6000. At half the weight of the camera body, it’s the perfect complement to the slender Sony APS-C sensor bodies. If you own a full frame Sony body (lucky you! ), feel free to skip ahead to the next recommended lens, since the Sony 35mm f/1.8 is only for APS-C (crop) sensor shooters. Although technically it’d fit on a full frame body, you’d experience nasty vignetting unless you cropped the image in-camera. On a cropped sensor Sony mirrorless camera, this lens will give roughly a 50mm field of view (52.5mm), which is ideal for a whole range of subjects. 50mm is a popular focal length since it gives an un-distorted view of the world, and can be flattering for portraits, without making the subject feel detached like a longer lens might. Although the Sony APS-C sensor does a good job in sucking in as much light as possible, due to the limitations of the smaller sensor size, images captured in low-light at higher ISOs can become rather noisy. That’s why having a ‘fast’ lens with a large (f/1.8) aperture like the Sony 35mm f/1.8 is such a big help. Opening up your aperture to f/1.8 can mean the difference between a blurry image (caused by too slow a shutter speed) and a sharp one, (where using a wider aperture allows a faster shutter speed). Similarly, it can mean the difference between a noisy image (where a higher ISO is needed to capture enough light), and a clean one (where using f/1.8 allows you to use a lower ISO). The ‘OSS’ refers to Optical Steady-Shot (image stabilization), a feature that is rare on prime lenses. In combination with the fast f/1.8 aperture, this is another reason that the Sony 35mm f/1.8 is so good for low-light shooting. As well as low-light shooting advantages, the larger aperture of the Sony 35mm f/1.8 helps to separate the subject, by encouraging sharp in-focus elements, and creamy out-of-focus elements. An aperture of f/1.8 also means that you’ll be able to get that coveted ‘blurred background look’ that really separates lesser cameras. Sure, your smart phone’s ‘portrait mode’ may be able to do something similar, but the process is much slower with the mobile phone and its fancy A.I. Sharpness is decent at f/1.8, but stopping the lens down to f/4-f/8 really yields the best results, if capturing the utmost detail is your primary concern. I have to say that the auto-focus speed of the Sony 35mm f/1.8 when mounted to the Sony a6000 wasn’t amazing, especially when the subject was heavily back-lit. However, in most normal daylight situations, the lens/camera locked onto the subject fast enough, and it wasn’t an issue. Overall, the Sony 35mm f/1.8 is a versatile and fun little lens that is the perfect complement to a small Sony mirrorless body, with images quality that simply isn’t possible with the kit lens that comes with your camera. In my opinion, it’s the best prime lens for Sony crop-sensor camera owners who want a small and lightweight setup with excellent optical performance – it’s in many respects the perfect travel camera/lens combination. Still on the classic 35mm focal length, the Sony 35mm f/1.4 is my recommendation for Sony full frame shooters. Let’s get the elephant in the room out of the way first – the Sony 35mm f/1.4 is an expensive lens. Although cheaper than the Canon/Nikon equivalents by about $300 (see the latest price here), I imagine that the majority of its owners are either professionals (like me), or amateurs who place a great value on stellar imaging performance. The fast 35mm prime lens is a stable of the wedding photography industry. I’ve owned numerous iterations of a 35mm lens over my years shooting DSLRs, and so the Sony 35mm f/1.4 was a simple choice as the first lens to buy with my Sony a7R III. On a full frame camera, 35mm is incredibly versatile. 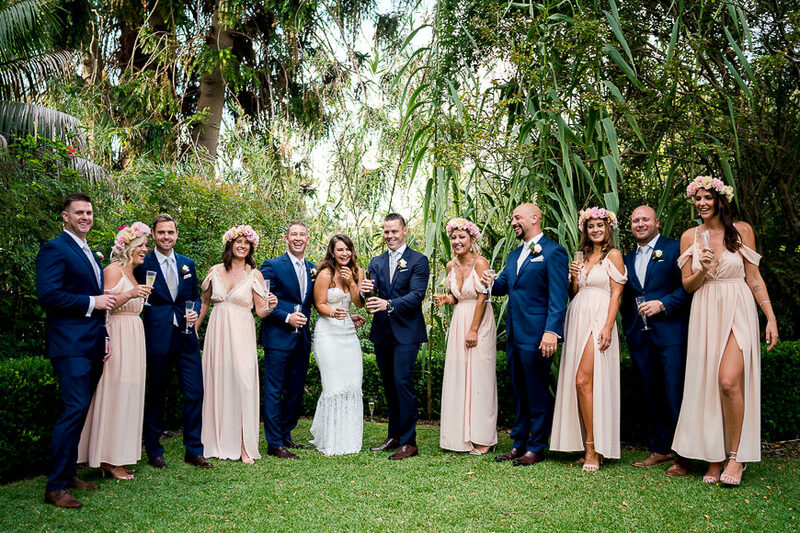 Wedding photographer or not, 35mm allows you to fit enough in the frame to tell the story, whilst at the same time being equally suited to shoot a solo portrait, group shot, landscape image, or anything else for that matter. Add in f/1.4 for beautiful subject separation and incredible low-light performance, and you have pretty much the ultimate prime lens for Sony shooters. One downside with f/1.4 lenses across the board is their size/weight. Both the Canon and Nikon offerings top the scales at around 600 g (21.2 oz. ), and this one from Sony is no different, at 630 g (22.22 oz). However, it is a tad smaller, and paired with a Sony A7 or A9 body, it actually feels pretty good – the narrowing of the lens where it meets the camera body creates a comfortable space for the fingers of your non-camera-holding hand to rest. Whilst you could use the Sony 35mm f/1.4 on a crop sensor body like the Sony a6500, I’d definitely recommend holding the camera+lens seup before making your purchase – the size/weight of the lens will dominate the camera, so could feel quite odd. There are photographers that make this combination work well, though. Build quality is top notch, as you’d expect from a Zeiss lens. I wouldn’t want to drop it (obviously! ), but am pretty confident it’d survive the fall if I did. Not sure if my toes would, though. 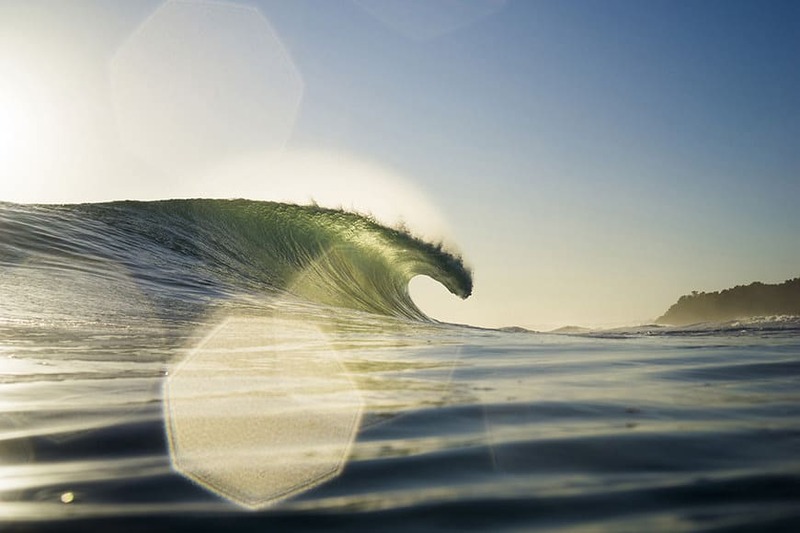 One nice touch is the aperture ring which allows aperture adjustments to be made on the lens. I prefer to assign the camera’s command dial to control aperture, but for fans of rangefinders or video shooters, using your other hand to adjust aperture can be convenient. You can also choose between a tactile click or a silky-smooth roll when twisting the aperture ring. Bokeh produced by the Sony 35mm f/1.4 is simply amazing. Coming from the Nikon 35mm f/1.4G (included in this best Nikon lens roundup), I noticed a similarity in the smooth transition of in-focus to out-of-focus elements which gives images a kind of ethereal personality. If you need to turn unsightly backgrounds to mush, or want to give subjects more 3 dimensionality, this 35mm lens is unbeatable in the Sony full frame lens lineup. Auto-focus performance is just as good as any DSLR equivalent I’ve shot with. Obviously AF speed is largely dependent on the camera itself, but paired with any Sony mirrorless full frame camera, I’m confident that you won’t be disappointed. The ‘Distagon’ in its full name (Sony FE 35mm f/1.4 Zeiss Distagon T*) refers to a lens design which helps reduce distortion. Whilst slight barrel distortion is still apparent, it’s nothing to worry about, and easily corrected upon import to Lightroom. One area where the Sony 35mm f/1.4 out-performs the Nikon and Canon equivalents is sharpness. Even wide open, the centre is impressively sharp, with image detail retained right up to the edges of the frame. I often shoot portraits at f/2, just to give myself a bit of leeway in case of missed focus. F/2 on the Sony 35mm f/1.4 seems to be the sweet spot in terms of centre sharpness, and combined with the beautiful bokeh, that pleasing ‘3D effect’ is actually increased. I could go on and on about this lens, but to cut a long story short, the Sony 35mm f/1.4 has made me confident that my switch from Nikon to Sony for my wedding photography work has been a wise one. It’s my ‘money lens’, a real workhorse that delivers great looking images over and over, and allows me to shoot in near darkness with no flash. Highly recommended! Along with the aforementioned 35mm, the Sony 28mm f/2 was the second of 3 lenses I bought when I switched from Nikon to Sony this year. 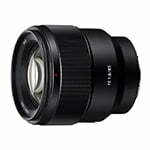 The Sony 28mm f/2 is currently the most affordable Sony FE prime lens (see the latest price here), and an absolute bargain when compared to wide angle lenses of a similar caliber by other manufacturers. 28mm is a somewhat unusual focal length, and it did admittedly take me a little time to get used to. I’m not a fan of shooting extensively with a 24mm, so was worried that 28mm would be touch too wide, but it’s actually not too daunting. 28mm allows you to get up close to the action, whilst still providing enough ‘room’ in the frame to tell the story via the background, or other foreground elements. The Sony 28mm f/2 is also popular on Sony E mount bodies, providing a 42mm field of view. Due to its small size, it feels great when attached to Sony crop sensor bodies, and makes a fun walk-around lens. I find that many Sony full frame camera owners also own crop sensor compact cameras too. By investing in lightweight Sony FE lenses such as this 28mm, it’s easy to use the same lens on the smaller crop sensor body, and take advantage of the image quality inherent in FE glass. One unique advantage of the Sony 28mm f/2, is that Sony also produces two handy converters that can change the focal length of the lens – this one that makes it 21mm; and another one that makes it a 16mm fish-eye! Whilst this is a cost-effective way to create 3 focal lengths, it should also be noted that using converters in this way diminishes the amount of light that can enter the lens – these converters change the f/2 to f/2.8 and f/3.5 respectively, although in good light or when using a tripod, this won’t be an issue. Since it’s such a lightweight lens, auto focus performance on the Sony 28mm f/2 is silent and lightning quick. Paired with the Sony a7 or a9 series bodies which offer silent shooting, you can focus and shoot with no noise at all. Silent shooting is useful in a whole range of situations, but my favourite place to use lightweight wide angle lenses like the Sony 28mm f/2 is on the dance-floor. At the end of a long wedding day, the last thing I want to attach to the front of my camera is a big, heavy lens like a 24-70, and 28mm allows you to get stuck right into the crazy dance-floor action, making the viewer feel truly immersed. As for image quality, the Sony 28mm f/2 is sharp and contrasty all the way through the aperture range. Distortion is minimal, but this is probably due to Sony mirrorless bodies which correct most distortion in-camera. I was pleasantly surprised with how much bokeh can be produced at f/2 with this lens. Wide angle lenses can’t really create much out-of-focus elements unless you get really close to the subject, but when you do, the Sony 28mm f/2 does a great job at creating subject separation. For this reason, this little Sony lens which I assumed would be relegated to shots of my kids on holiday actually sees a lot of use when shooting professionally. The 28mm field of view really encourages you to get in close for a sense of immersion, and f/2 can help direct the viewer’s eye by blurring the foreground and/or background. If you’ve just blown your budget on a new Sony full frame mirrorless camera and can only save up for one lens, the Sony 28mm f/2 would be my recommendation. It makes the camera a joy to hold, has excellent image quality and won’t break the bank. Highly recommended! 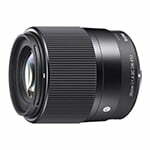 If you’re looking for the best wide angle zoom lens available for Sony full frame mirrorless cameras, look no further than the Sony 16-35mm f/2.8 GM. I’ll be uploading some sample photos I took in Tokyo soon, but in the meantime, have a read about this incredible lens. Owners of the Sony 16-35mm f/4 Zeiss OSS may not want to read any further, but let me just say this before digging deeper – the Zeiss version is smaller, lighter, cheaper, and can deliver outstanding results. 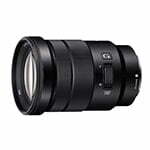 GM stands for ‘G Master’ – the premium Sony e mount lenses, similar to Canon’s L series. Check out the video below to see the features that put the GM lenses one step above all the others in the Sony lens catalogue. Most of the advantages of G Master lenses over regular Sony lenses, or even Zeiss lenses, are admittedly a little hard to quantify by the average photographer. It’s hard after all to differentiate between very good and great, when lens quality is already more than most of us will ever need. Having said that, after spending a day shooting with the 16-35mm f/4 Zeiss and this Sony 16-35mm f/2.8 GM, I’m convinced that the latter is worth the extra cost (see the latest price here). 35mm is also a great focal length as discussed previously, but the advantage of this lens isn’t to be able to shoot at 16mm or 35mm, but rather, having the flexibility to alter the field of view between these two distances. You don’t buy the Sony 16-35mm f/2.8 as a replacement to your 35mm prime lens. 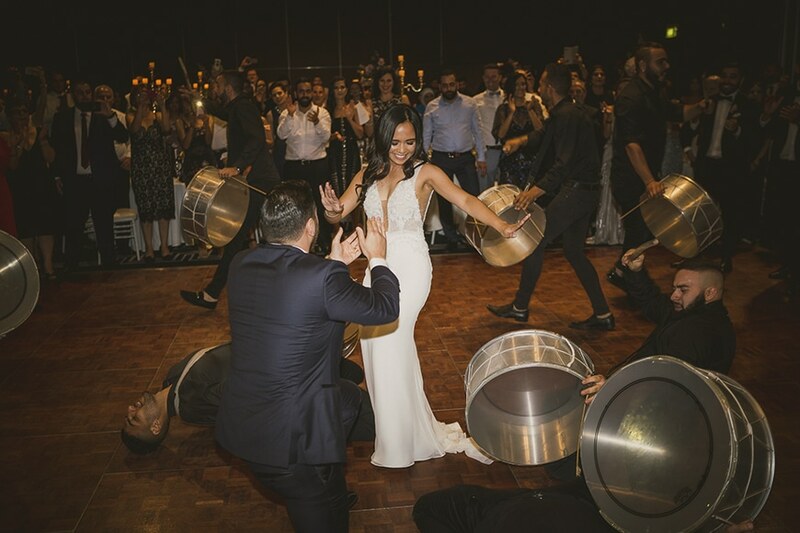 16-35mm has also become popular with wedding photographers, particularly on the dance floor of all places. 16mm allows for some crazy, in-your-face moments to be captured, and the versatility of zooming out to 35mm allows you to capture wider angle for when the action becomes more varied. Weighing in at 680g, this is one chunky lens, similar in proportions to the 35mm f/1.4 described above. I was pleasantly surprised that it’s much lighter than the Nikon equivalent (by 320g), and also Canon’s version too (by 110g). As you’d expect from the price tag of a G Master lens, image quality out of the Sony 16-35mm f/2.8 is nothing short of incredible. Shot wide open at f/2.8, images are tack sharp, and this level of detail remains across its entire focal range. If you can get close enough to the subject, the bokeh exhibited by the Sony 16-35mm f/2.8 is smooth and creamy, although to really maximise the effect, you’ll need to be shooting at 35mm. Pixel peeking website DXOMark named it the highest-rated wide-angle zoom, with a sharpness score that blew the Canon/Nikon versions right out the water. If you’re looking for a wide angle zoom lens with the best image quality and can justify the price tag, there simply isn’t a better option than the Sony 16-35mm f/2.8. The f/4 Zeiss version (here) is an affordable and tempting alternative, but you’ll be left wondering how much better your image could have looked…! If you want one lens that can handle pretty much any shooting scenario and produce clear, vibrant and sharp images with incredible detail, the Sony 24-70mm f/2.8 should be at the top of your wish-list. Let’s start with the bad news – this is one expensive lens. If you’re coming from Nikon or Canon, you’ll be used to the high price of f/2.8 zooms, the price is more easily justified – there’s a lot of crazy engineering that goes into producing a fixed-aperture lens of this caliber. 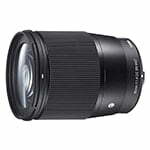 You can see the latest price of this Sony mid-range zoom lens here. Now that you’ve got over that initial shock, why the heck am I recommending such expensive glass in a roundup that’s supposed to cater for the average photographer?! Simple – because it’s the best. Yes there’s an f/4 Zeiss version and even a 28-70mm f/3.5-5.6 Sony offering too… but they’re all outperformed by the Sony 24-70mm f/2.8. Remember when everyone started using prime lenses because they were sharper and better quality than zoom lenses? Well those days are no more – the Sony 24-70mm f/2.8 is just as sharp than any Sony prime lens I’ve ever shot with – it’s up there with the Sony 55mm we discussed earlier, and all this from a lens that can take you from wide angle to portrait in one twist! If you’ve never shot with a 24-70mm lens before, you’re in for a treat. 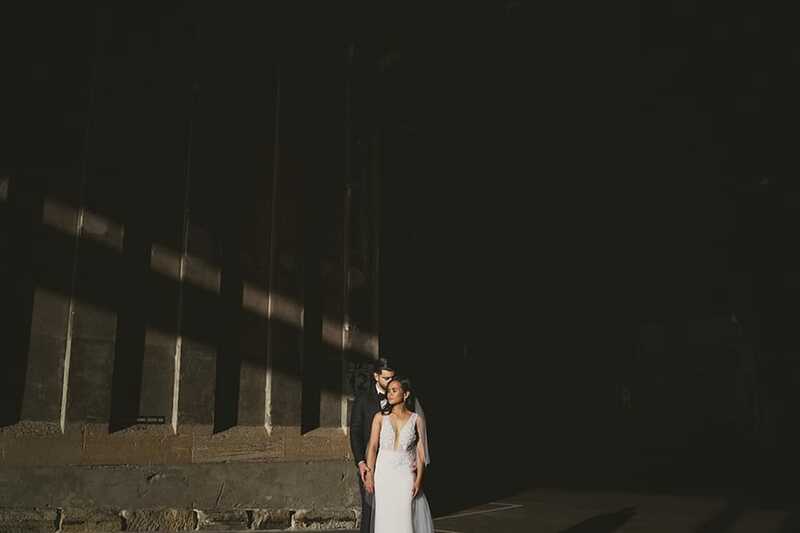 I call it the ‘lazy lens’, as you can literally shoot an entire wedding with one, barely moving your feet all day! 24mm is wide enough to get the entire church or that epic landscape shot, and 70mm gives beautiful compression for a bridal portrait. f/2.8 used to be considered sub-par for low-light photography, but with the high ISO capabilities of full frame cameras these days, it’s more than adequate. 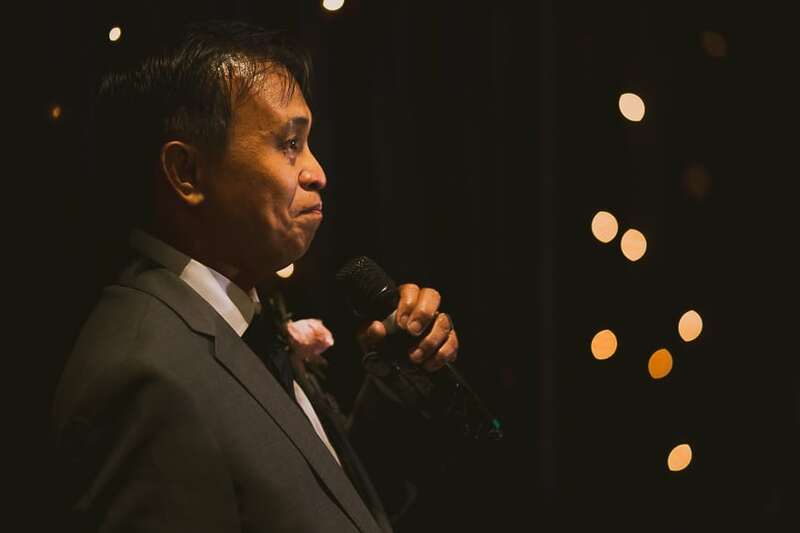 In addition, shooting near the 70mm end of the focal range at f/2.8 produces creamy bokeh that turns out of focus elements into mush – very useful for unsightly backgrounds at weddings, for example. 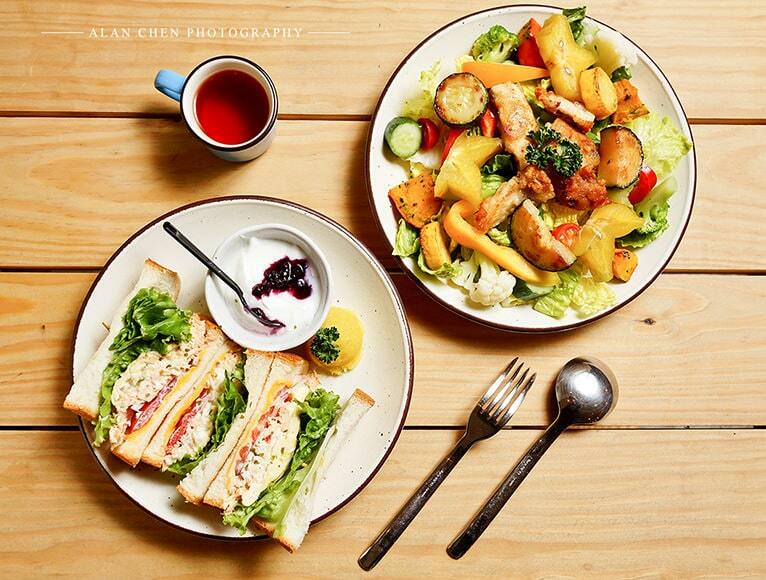 At f/2.8, the Sony 24-70mm f/2.8 is impressively sharp in the centre of the frame across the entire focal range. At f/4, sharpness improves, but let’s face it – you’ll be shooting this bad boy wide open most of the time, so it’s good to know it performs well like that! One small issue I noticed was ghosting when shooting towards the sun – this is one area where the coated glass of the Sony 24-70mm f/4 Zeiss is superior, but I don’t consider it a big problem. Imperfections like this add a certain character to the lens flare, with a certain unpredictability that’s fun to play around with. The quality of the bokeh really is great, with round and clean highlights throughout the focal length, thanks to 9 rounded aperture blades. As long as you get close enough to the subject, you can get impressive bokeh even at 24mm. 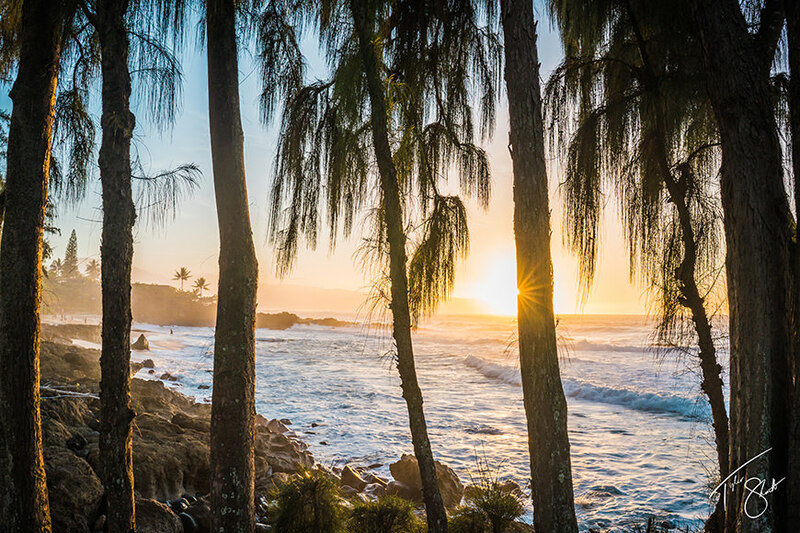 With the sun at your back, images out of the Sony 24-70mm f/2.8 are vivid, sharp, contrasty and extremely sharp. Distortion is typical for a 24-70mm lens, with pronounced barrel distortion at 24mm, although it’s all easily fixable in Lightroom. If you’re coming from another camera system, investing in two Sony mirrorless full frame bodies and several lenses may be out of your budget. Investing in one body and just the Sony 24-70mm f/2.8 will mean that you’ll have all your focal distances covered, and can mean a more practical entry into the world of Sony for professional use. As long as you don’t mind the weight of this lens, I really can’t find any reason not to recommend it to any kind of Sony full frame shooter. It’s a pricey beast of a lens, but it could be the only lens you ever need. Remember I mentioned that I bought 3 lenses when I switched from Nikon to Sony? Well, this Sony 85mm f/1.8 was the third lens I settled on. To give you a bit of background, I used to shoot with two Nikon D750s, with 35mm and 85mm f/1.4 lenses (see my gear set up here). I love the look of images shot at f/1.4, but felt that I could easily get by with f/1.8 – the trade off in light gathering ability was more than worth it for the reduction in size/weight and price. You can check the current price of this lens here – you’ll appreciate the fact that it’s over $1,200 cheaper than Sony’s f/1.4 G Master offering, and about $700 less than the f/1.8 Zeiss Batis version. With the compression at 85mm, I find that the bokeh at f/1.4 is almost too much. 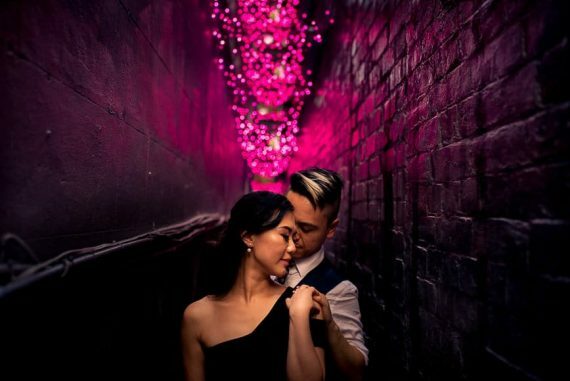 For all you Canon 85mm f/1.2L shooters, shooting wide open with that lens is like cheating – you can turn pretty much any background to a complete mushy creamy mess! f/1.8 on an 85mm lens looks great to me, and at only 371 g, it’s the perfect complement to a lightweight Sony mirrorless body. Even on an APS-C sensor body like the Sony A6500, the Sony 85mm f/1.8 feels good, although 127.5mm as a focal length (with the crop sensor conversion) is admittedly a little less versatile. Build quality is decent, although not the all-metal tank-like build you’ll see with G Master or Zeiss lenses. The barrel is made from sturdy plastic, and the mount and filter thread are metal. I actually prefer this construction over an all-metal lens, since they’re just so much lighter. A nice touch is a ‘focus-hold’ button on the side of the lens, which can be customised to control various other functions – I have mine set to control Eye AF. As for image quality, this is another f/1.8 Sony lens that really excels with its sharpness. As with the 55mm f/1.8 we discussed earlier, the Sony 85mm f/1.8 achieves incredible amounts of detail – zooming in 100% with the Sony A7R III files is mind-blowing. DXO Mark compared the Sony 85mm f/1.8 with the other Sony/Zeiss 85mm variants and found it to be the sharpest of the bunch. It also exhibits very little distortion. The images I’ve shot professionally with the Sony 85mm f/1.8 look fantastic at f/1.8, but to me, the lens really excels when stopped down to f/4~f/5.6, where images become even more contrasty and sharp, almost leaping off the screen. If you’re coming from another camera system and have always used f/1.4 lenses, give the Sony 85mm f/1.8 a shot before sinking your cash into other options. With the incredible high ISO performance of Sony full frame cameras, you won’t miss the 2/3 of a stop when the sun falls, and you won’t miss it even if you’re a bokeh-whore! 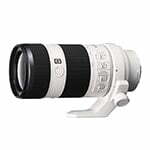 For this price, I recommend the Sony 85mm f/1.8 for any photographer who needs a versatile portrait focal length at a good price, which complements the size of a Sony mirrorless camera. I’ll finish this roundup of the best Sony lenses with a little bit of a controversial choice. There’s no doubt that this Sony 24mm f/1.8 is the best standard wide angle lens available for crop sensor Sony E mount cameras, but its price definitely isn’t for everyone. I think it’s a fair assumption to say that the majority of professionals use full frame cameras, given the choice. Fujifilm shooters are ‘limited’ to APS-C or Medium Format, but Sony shooters can decide between crop sensor and full frame.. and most pros choose full frame. So it’s also a fair assumption to say that if your primary body is a crop sensor Sony, you’re not earning money via photography. See where I’m going here? So for a crop sensor prime lens such as the Sony 24mm f/1.8 to cost almost as much as the camera itself (see latest price here), you’re going to ruffle some feathers amongst hobbyists! However, I believe that whatever your profession and whatever the camera you own, it’s always a good decision to invest in the best possible lens you can afford… and in this case, that’s the Sony 24mm f/1.8. So what are you getting for your money? Well first off, attaching this lens to your Sony crop sensor body transforms it into a 35mm equivalent focal length with a fast f/1.8 aperture. 35mm is ideal as a walkaround lens, wise enough for landscapes or architecture and still good for an environmental portrait. The size and weight balances nicely on the Sony a6XXX series bodies. Build quality is all-metal as to be expected from Carl Zeiss, and it’s a huge step-up from the plasticky kit lens. As for image quality, the Sony 24mm f/1.8 is impressively sharp right across the frame, especially when stopped down to f/4. At f/1.8 there’s slight corner softness, but nothing that distracts, and if you get close to your subject, you’re rewarded with some beautiful bokeh thanks to 7 rounded diaphragm blades. It’s fair to say that any of the Sony lenses with the word ‘Zeiss’ on the side really excel in image quality, especially the fast primes such as this one. Colour rendition is excellent with the Sony 24mm f/1.8, and images are clear, vibrant and contrasty, but this obviously depends too on the camera used. On the Sony a6000 I used for testing, auto-focus speeds were excellent, and JPEGs looked great straight out of camera. If you own a Sony crop sensor body and crave the the advantages and flexibility of using a ‘real’ 35mm lens (as opposed to one that’s labeled ’35mm’, but converts to around 50mm on APS-C), the Sony 24mm f/1.8 is simply the best lens you can buy. 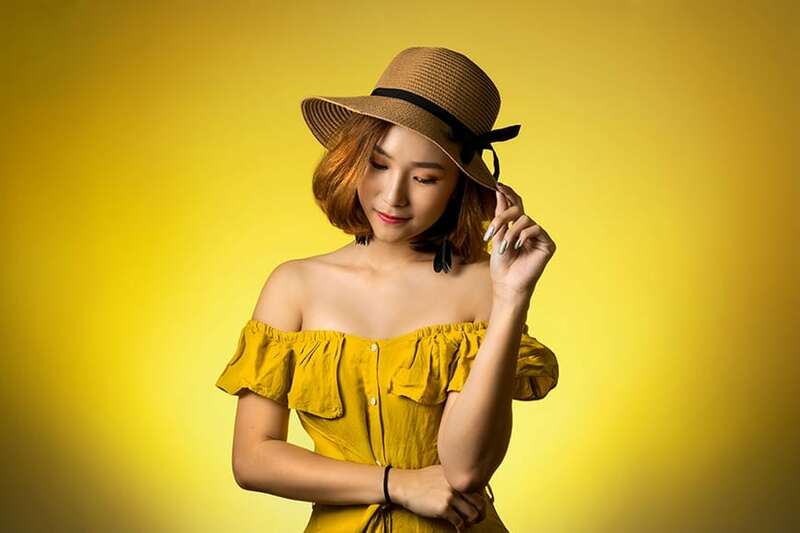 If you want to get the most out of every mega pixel in your Sony a6XXX body, investing in premium Zeiss optics will really open your eyes, especially if you’re used to variable aperture zoom lenses, such as the ones that typically come bundled with cameras. Highly recommended! This is the list of lenses I’d provide any friend who’d just invested in a Sony full frame or crop sensor body. 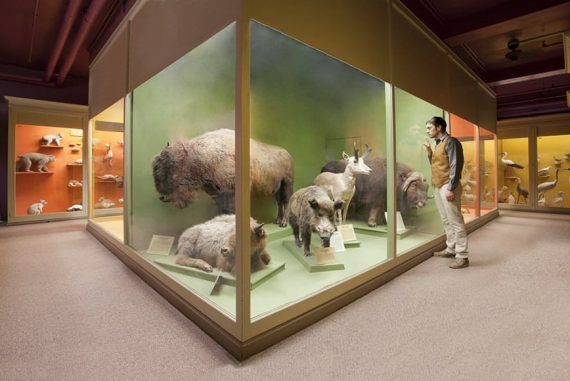 It’s by no means an exhaustive list since every photographer’s needs are different. However, I believe that this roundup provides a solid selection of all-round lenses that give the best bang for the buck, or simply provide the absolute best image quality at a given focal length. I’m interested to hear if you agree or disagree with any of my choices, so please feel free to leave a comment below to continue the discussion. As mentioned previously, I’d also like to hear about your favourite 3rd party lenses which you use mount on Sony camera bodies. What are some good lenses to use for the Sony A7R iii and A7 ii which is compatible for the NEX 5? I believe the A7 ii can be switched to the APC-S crop factor? Hey Gino, all Sony FE lenses are compatible with the E camera bodies, albeit at a ‘crop’ (1.5x multiplication of the focal length of the lens). Switching the APS-C to crop means that in theory you can use E lenses on your Sony A7 bodies, but I’d advise against it. I use the crop mode on my a7III to get extra reach out of my FE lenses. I’ll publish a post soon about my recommendations of lenses specific to Sony a7 bodies. Does that help you at all? Have you tried the Sony 90mm f2.8? I hear it’s it’s really impressive. Yep! It’s a great lens, albeit rather heavy and expensive. Personally I still prefer the 85mm f/1.8 though – lighter, cheaper and faster… although not a macro lens, obviously. What a great review and summary, really love it! I’m currently using A7ii with Canon 24-70 1.8 lens (using mount converter) for event photography (like wedding, birthday, or gatherings). However, my biggest obstacle on this is the AF performance. I’m planning to invest more, by upgrade my body to A7iii OR my lens to 24-70 GM (can’t do both at same time as those will definitely break my bank). Do you have any suggestions on which one is better option? Also, you’ve mentioned 24-70 zeiss is outperformed by the GM one. Did you just talk on image quality, or does it also have far worse AF performance than the GM one? Thanks in advance for your thoughts, greatly appreciated! Hey Ed, I don’t really recommend Canon glass on a Sony body. Although it can work ok with adapters, the performance isn’t officially tested or supported by Sony. Sony glass on a Sony body will always be better, especially with AF. The a7ii is a great camera, but the AF is admittedly better on the a7iii. I’d recommend you try out a Sony lens on your a7ii first, and decide whether it’s the camera or the adapted lenses you’re using that’s the bottleneck to getting the most out of your existing camera. Hope that helps? 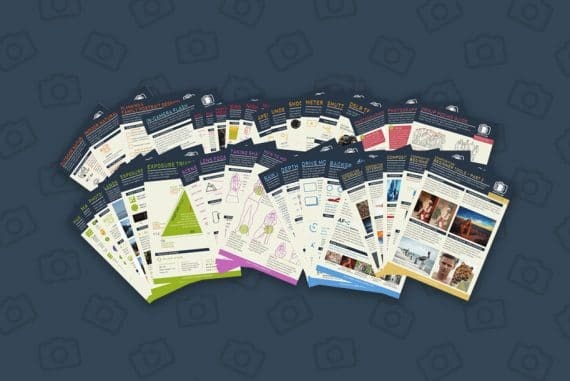 Thanks for an insightful and real-world perspective on these lenses. I especially appreciate how you described their pros, cons, and intended uses in every-day, layman terms that non-professionals, like me, can understand. Having said that, I am a beginner looking to buy some better glass. I currently use the Sony a6500 and the SEL 18-135mm f/3.5-5.6 OSS lens that came with the bundle I bought. While that lens is great for a huge variety of focal lengths (for photos of my kids at outdoor swim meets and Ultimate Frisbee matches) it really lacks when I try to use it for indoor shots of birthday or dinner parties. I sometimes use the flash (tipped upwards to bounce off the ceiling) which helps a bit but often the photos just don’t look as pleasing to my eyes. After much research I was torn between the Sigma 30mm f/1.4 and the Sony 35mm f/1.8 OSS that you recommend here. I even went as far as to read up on MTF charts (which I, admittedly, do not fully understand). And then I read further in your review about the Sony FE 28mm f/2 to complicate matters! I know you regard the Sony 24mm f/1.4 highly but I think my wife would not speak to me for a very long time if I bought that lens. I basically want the best “bang-for-the-buck” lens to fill that indoor need and possibly as an evening walk-around general purpose lens. Typically, I shoot straight to JPEG and do very little post-production work. Any tweaking needed is usually handled by iPhoto on my MacBook Pro. Between the two Sony lens and the Sigma lens, is there one that you would give the edge to in my situation? Thanks and keep up the great work of sharing your knowledge and expertise with the rest of us! Hi Clay, thanks for your kind words and interesting comment. All the lenses you mention would be great with the a6500 (and I did laugh at the consequences of you buying the 24mm f1.4!!) In your situation, I’d go for the widest focal length with the fastest aperture in your price range. With the APS-C sensor of the a6500, it’d be nice to have something as close to a 35mm equivalent as possible – be it the Sigma 30mm or the Sony 28mm. These kinds of focal length are more versatile, and give you more bang for your buck. I hope that helps! I am a wedding photographer. a couple years ago I made an attempt to go mirrorless with the A7Mark2, but after a SD card malfunction decided to stay with my Nikon D750 camera system. Now that Sony decided to put two card slots in their A7mark3… well, I am ready for attempt number two. With Nikon system I mainly used the 24-70 and the 70-200 @ F2.8. Now to decide on my lens choices. Looking at my data in Lightroom, I find that most of my images are shot at around 35 to 50mm. And at the top end around 135 – 200mm. The main reason for me to switch to Sony is for me to lighten my load. I am considering the 35mm @1.4 Gmaster as my primary lens and The 85mm @1.4 Gmaster as my other lens. My fear is that I will miss the magical Image Quality of the Nikon 70-200. The 85mm will be a whole lot lighter than the Nikon 70-200… but will I miss the image quality of the 70-200? A very interesting and user friendly summary. Joined the convert train to Sony mirrorless and purchased the a7iii; now I’m trying to pick lenses along with everyone else here. This is by far the clearest and most thoughtful post/review I’ve found – thank you! I’ve tested the 24-70 f/2.8 and likely will end up with it for versatility sake; I rarely use much zoom and love the performance despite the weight factor. I mainly shoot landscape and environmental portraits for nonprofits and would like a complimentary prime that is lighter and easier to trek with; I primarily shot 50mm on my old Nikon setup. Certainly drawn to the 55mm 1.8 for its universal good reviews but periodically find myself wishing for a little wider in closed in spaces. Down the road I hope to be able to pick up the 16-35mm, so from a doubling up and weight factor, I’m not sold on the 35mm 1.4. Does the 55mm seem like a good place to start, or is there another prime I’m missing? The 55 is an excellent place to start Gretchen! If you’re going for the 16-35 and don’t need the low light performance of an f/1.4 lens like the 35mm, the 55mm will be an excellent portrait lens. 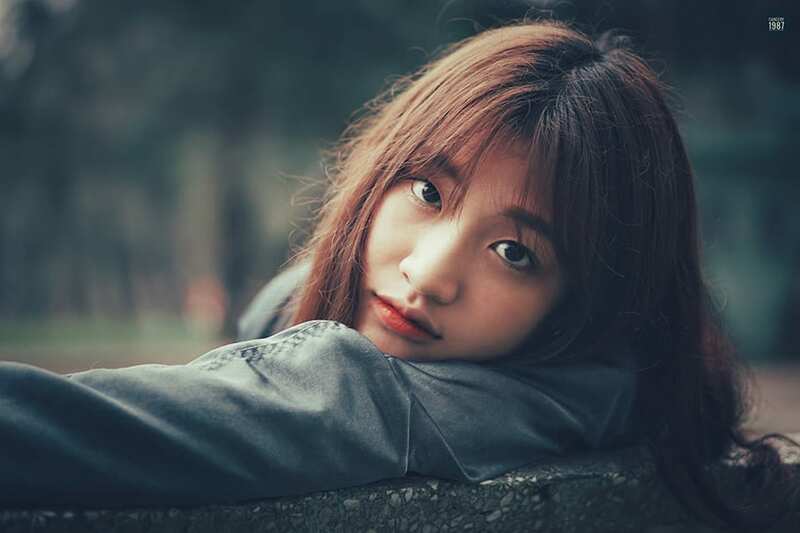 I’m about to ‘pull the trigger’ on purchasing the Sony A7 III, and am having a (sort of) hard time looking for a 2 lens complement. My photographic choices are for landscapes (mountains, deserts etc. ), air shows / action, and African safari / animals. My intial thoughts are the Sony FE 100-400mm f/4,5-5.6 OSS G Master and the Sony FE 24-105mm f/4 G OSS. I know that the zoom is a heavy ‘beast’ but, for its ability, I’m happy to be carrying it for both landscape, air shows and animals in the bush. However, I’m also considering swapping out the 24-105mm f/4 and replacing it with either the 16-35 G Master or the 24-70mm G Master you mention above. I know that will leave a gap but I’ll just have to move my feet a little more. I’d certainly like to capture sunrise and sunsets on a month-ling 4×4 trek into the bush. What are your thoughts Mark? Hi Bob, wow that’s quite a decision! I’d say that unless you need the low light capabilities of the f/2.8 lenses, the other zoom lenses you mention there will be great. Between the 100-400 and 24-105, it’s really a matter of how much reach you need. I prefer the versatility of having a wide-to-long zoom, rather than a long-to-longer. Hope that helps?! Thanks for the great article. Like the other commenter (also called Simon) I too am about to invest in the A7iii and am also looking at buying two lenses to begin with. I live abroad and travel a lot, so am generally interested in a variety of possible shots – landscapes, city streets, and close-ups of flora and fauna (my partner has a 70D with zoom lens so I don’t need to snap birds at the tops of trees as she can cover that). I am taken with the 85mm 1.8, but I wonder, will this lens work in macro surroundings? I know it isn’t a macro lens, but would it be suitable for close ups of flowers, insects etc. as well as letting me snap street seems and portraits? Like other Simon, I am also attracted to the 24-70mm for its versatility (wide angle through close ups) but do you think a 35mm 1.8 would be more suitable for the types of photograph I’ve mentioned above… or should I go even wider and get a 24mm prime? Any thoughts… greatly appreciated. Your explanations of the various lenses and accessories for Sony cameras are the most helpful I’ve read. Glad to hear it Simon! Thanks for the kind words. To answer your questions, yes, you’d be able to take close ups of flower etc, but not to the extent of a macro lens. If you wanted to get closer, you could always crop using Lightroom, or even set up a custom button on the A7iii to crop to APS-C format (this is what I do to extend the reach of my lenses). If you invest in the 85mm, I’d recommend a 35mm to complement it. The f/1.4 is excellent but heavy and expensive – the 35mm f/2.8 is a great alternative which is much smaller/lighter. As you say you travel a lot, I’d steer clear of any heavy zoom lenses like the 24-70. As attractive a zoom range as it is, it makes the Sony body feel unbalanced, and will be a pain in the a** to travel with! That’s just my opinion though – many traveling photographers happily use big zoom lenses! Very helpful and informative with comprehensive information given thank you. I’m about to invest in a sony A7 mark 3 (couldn’t justify the R for 1200 more) however im getting bamboozled with lense options. im thinking the 24-70 is a good all rounder G master series. however, why would i then look at getting another such as 35mm or 50mm if this is covered in one lense? would you advise getting something like the 24-70 and then an 85.. eventually id get the 200mm but the camera and one lense is breaking my bank. could you give me some tips if say you had to get two lenses, which would you go for? i mainly want to capture candid street shooting, and landscapes etc.. so again im a little lost on the direction i take for lenses. Hi Simon! Thanks for the kind words. The 24-70 is an incredible all in one lens, and you’re right in thinking it covers the focal lengths of the 35, 50, and everything else in between 24-70… but not the apertures. Whilst f/2.8 will be fine in daylight situations, it may struggle in low light, even with the excellent high ISO performance of the Sony a7III. Then there’s the size and weight of those zoom lenses, which won’t be ideal for candid street shooting. For landscape I guess it’d be fine, as long as you don’t mind the additional bulk. Finally price is a big factor – you can get a few great prime lenses for the price of one G Master zoom. Great article. I’ve been using my a7rii for over a year now with the 35mm f2.8 ZA and have been enjoying it so far. I’ve been using it for travel and events, and I have to say that the image quality is great. Just want add that with the R, I can crop my images without losing too much resolution. So maybe don’t strike off the R too quickly. I do agree with Mark that size and weight is critical for travel photography, as you will be carrying it for the entire day, probably on foot, on top of your other accessories and necessities. You wouldn’t want to be put off with the weight and ending up leaving your camera in the hotel. Also want to ask Mark, if you will be doing another article of other brands of lens for the sony body. I know that Samyang has a decent few that won’t break the bank like Sony’s. Thanks Clifford, glad to hear it! Yes, you’re right, the R is still a great camera, especially when combined with the APS-C crop functionality which effectively extends any of your lenses by 1.5x as you know. 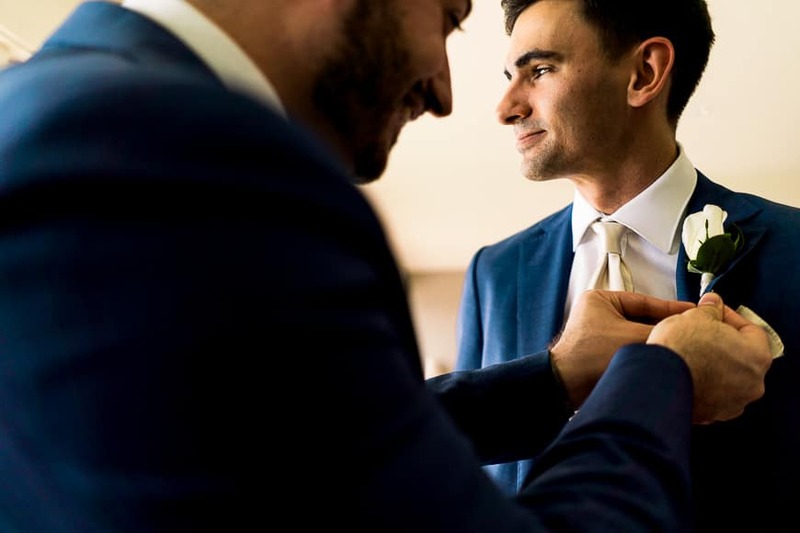 For a wedding shooter like me, the huge file sizes were annoying, but I guess for any other photographer shooting lower volume, this won’t be an issue. To answer your question, I’ll be looking into Sigma lenses for Sony very soon, and may possibly throw in some other 3rd party brands. Samyang does some great ones… stay tuned!